The Cardiff CI4+ (2018) is the successor of the previous 2012Cardiff CI4+. This new reel weights only 170 grams and is special designed for Trout (area) fishing: trout fishing with Ultra Light spinning rods and light weight lures up to 5 grams. The reel is built on the base specs of the Stradic Ci4+, but with some major changes to make it perfect for ultra light (trout) spinning. First of all: design is more classic (golden spool, dark green body color, cork handle knob, etc), but technically the changes are bigger. 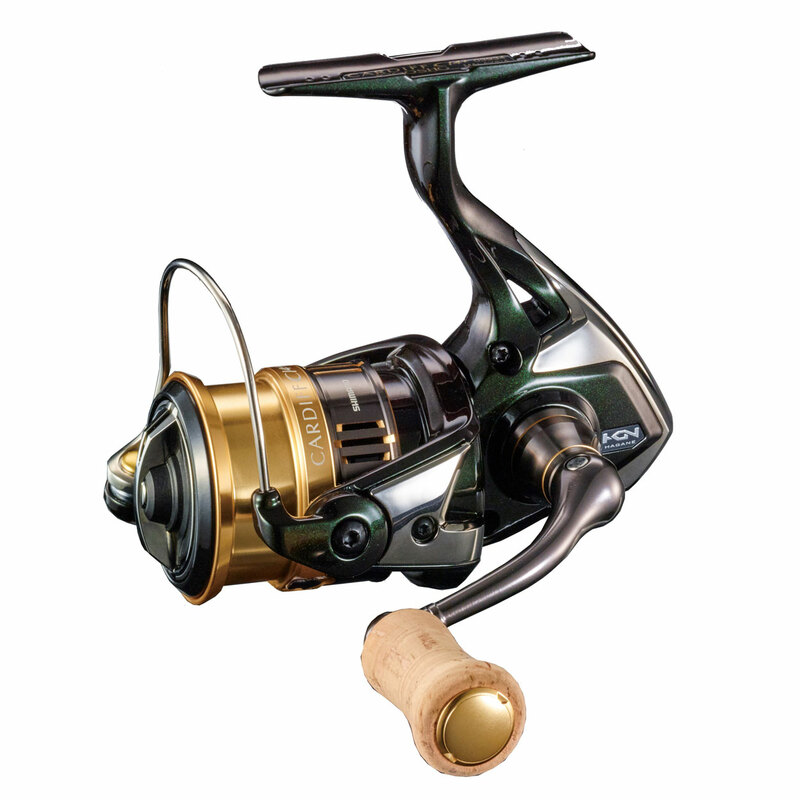 The reel has 1 extra S ARB bearing for even smoother rotation, but mainly the drag is different. Area Drag technology makes very precise drag adjustments possible. Rigid Support drag makes the drag very stable when drag settings are very light. As well, the Drag Sound is louder.